I’ve only seen Eliza once in concert. It was about five or six years back, with my third son (and aspiring guitarist) Chris at Duluth’s iconic coffee house and folk music venue,the Amazing Grace Cafe. Eliza, her son, and a guitarist were crammed onto the Grace’s tiny stage that evening as nearly 100 fans listened, clapped, and were awestruck. She’s a fine songwriter. An adequate guitarist. And a captivating vocalist, with a languid, liquid texture to her voice that would melt most men’s (or women’s) hearts. It was during her “Land of Milk and Honey” tour, promoting the album that took on G.W. Bush’s deployment of Americans to Iraq (and chastising the Neocons and Colin Powell (“the black man hidden in the white man’s skin”) to boot) when we took in the concert and it was indeed a fine evening. I’d heard the song “Highway 9” (the one lambasting the Prez) on KUMD and fell in love with the lyrics and Eliza’s voice. I own a half dozen of her albums and much of her music is as good as it gets in the world of folk music (including my sentimental favorite, “Lights of Santa Fe”). As my wife and I wandered around that quintessential tourist town Ely, Minnesota and stopped in at Mealy’s (a local furniture and variety store) on a recent weekend, I was in need of new music for the ride back to Duluth. I kept coming back to the music bin where Beautiful World was displayed. On impulse, I bought the CD. I wasn’t disappointed. 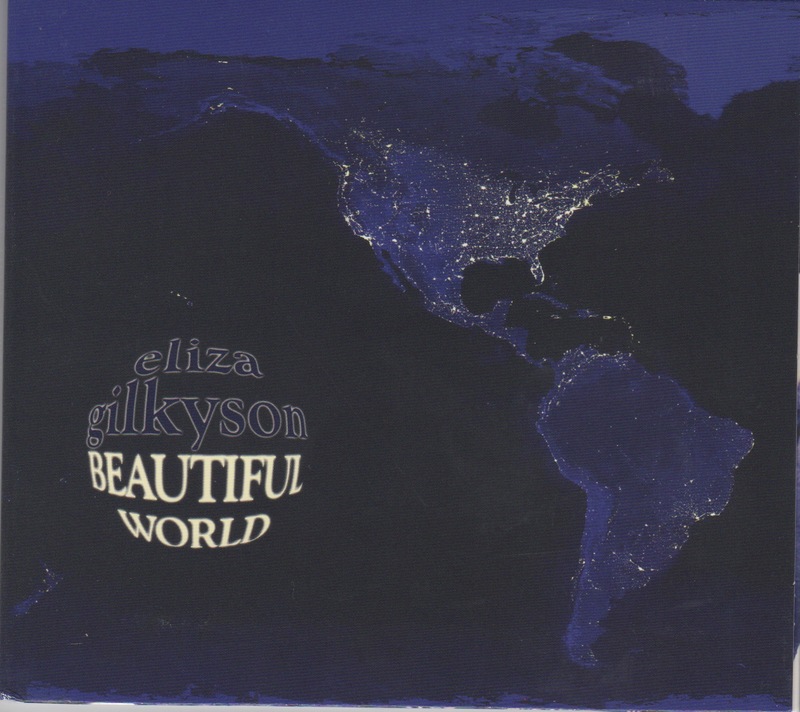 There are some classic Gilkyson tracks on this 2008 effort from this fine Austin, Texas artist. “The Party’s Over” and “Dream Lover” in particular offer some fun and poignant lyrics. “Unsustainable” is a jazzy number unlike any other Gilkyson tune I’ve ever heard before. The instrumentals are tight and, as with all Red House productions (thanks to Iowa folk giant, Greg Brown who started this little label decades ago in Minneapolis), well produced. My only complaint, and it’s more of an observation, is that Eliza, a very independent and authentic artist in her own right, seems to be channeling another of my favorite “girl singers” from Texas: Lucinda Williams on this album. This comparison doesn’t approach mimicry but comes awfully close on “Dream Lover”. As stated, that’s not really a bad thing given the power of Williams’s art. 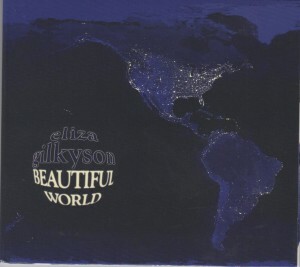 But it does suggest that the steam of Ms. Gilkyson’s creative engine is a bit thinner after a whirlwind decade of creating new and original new music. Still, a great listen from a great folk artist.